We’re pleased to announce the exclusive Hellboy Folding Dice Tray as part of the Mantic Games Hellboy: The Board Game Kickstarter. 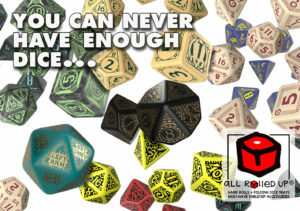 Available only as part of the Kickstarter, this Folding Dice Tray displays the eye-catching Mike Mignola art from the cover of the boardgame – and will provide an ideal way to corral your dice throws in the midst of battles with Frog Minions, wild-eyed Cultists and fascist troopers. 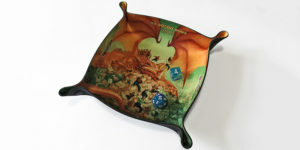 The Folding Dice Tray is 205mm X 205mm, made of high quality, custom printed, hand-finished neoprene. When snapped, the rolling room within the dice tray is approximately 125mm X 125mm. This will only be available during the Kickstarter/pledge manager and will not go on general release; so, remember to grab these Optional Extras before they’re gone. Check out Mantic Games Hellboy boardgame Kickstarter page for details, demo videos, tons of stretch goals and those essential Extras to make your tabletop experience pop. 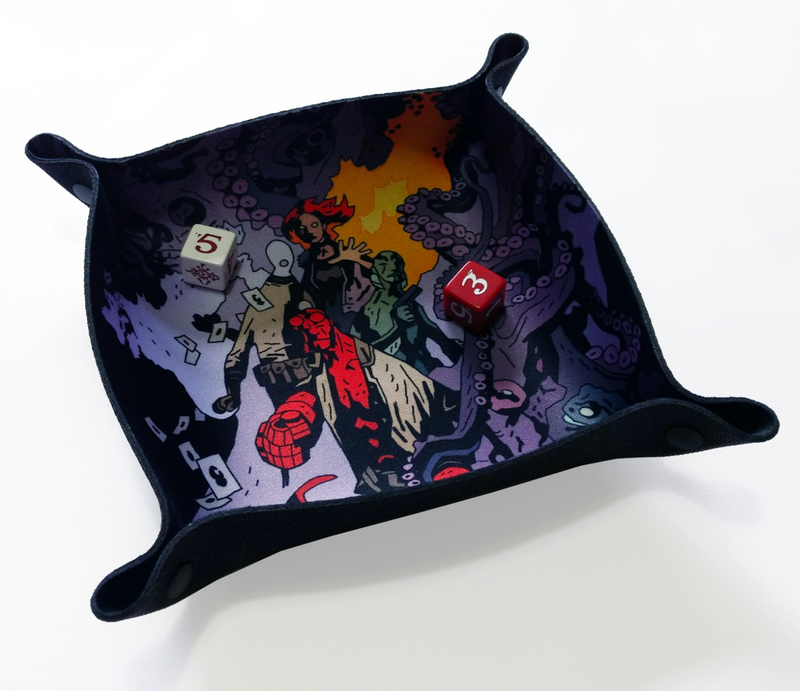 Kickstarter Exclusive Neoprene Folding Dice Tray featuring the game artwork by Mike Mignola. Final design subject to approval.